“The Butterfly Fund impacts our families from diagnosis to, sadly, end of life and everywhere in between. It alleviates a little bit of stress for the families, providing gas for weekly appointments or rent in those months when a parent isn’t able to work. 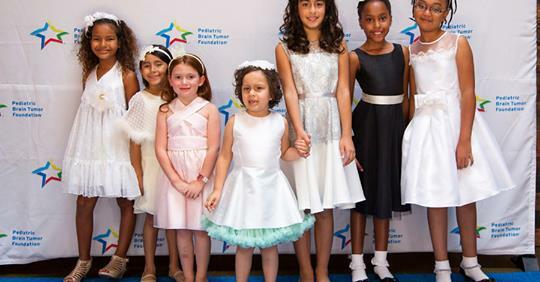 Thanks to the fantastic commitment of the IICF Midwest Board of Directors, thousands of children in the Greater Chicago area will be more prepared for school success this year. 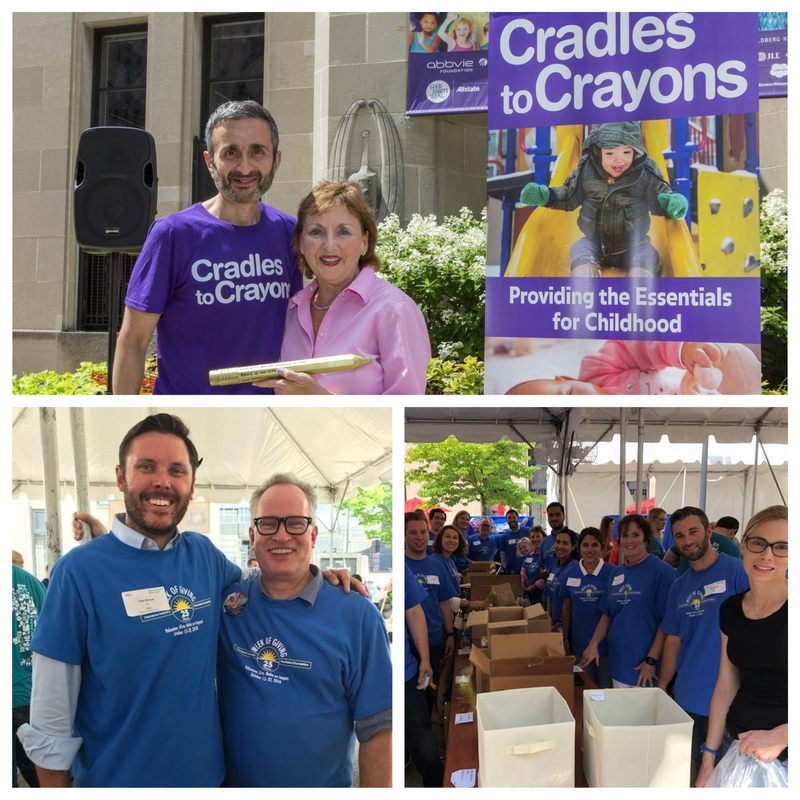 The IICF team of insurance industry volunteers participated in the 3rd Annual Cradles to Crayons Backpack-a-thon last week, spending their day packing and delivering school backpacks for 25,000 children in underserved Chicago communities. Through IICF's $15,000 grant, backpacks and supplies for 2,890 children were purchased – more than 100 classrooms worth! IICF volunteers were recognized for their efforts with the 2018 Golden Pencil Award for Rookie of the Year! Volunteers included representatives from AmTrust E&S Specialty Insurance, Butler Rubin Saltarelli & Boyd, Chubb, CNA, FM Global, Hylant, the Katie School of Insurance, Lloyd’s, RT Specialty, Starr Companies, Traub Lieberman Straus & Shrewsberry and Zurich. "The enthusiasm and incredible participation level of our supporters this year is simply tremendous," said Kelly Hartweg, IICF Midwest Executive Director. Hartweg congratulated the board on their award and noted that she had so many volunteers this year that a waiting list for volunteer spots was necessary. Thank you, IICF Midwest, for raising the bar in showing how insurance gives back in a meaningful way, truly enriching lives in the communities where we live and work! Following the late July outbreak of devastating wildfires throughout California, the IICF Western Division responded by opening the IICF California Wildfire Relief Fund to help facilitate a united industry response to this historic natural disaster. 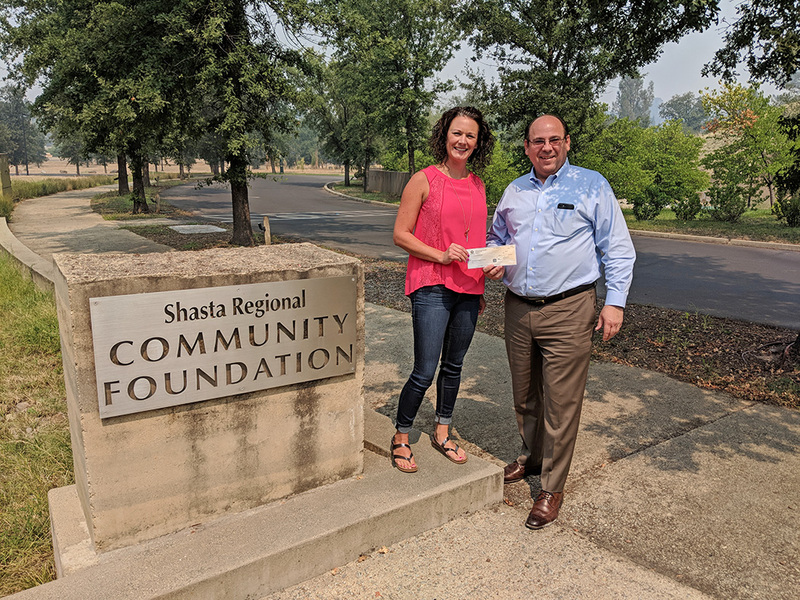 Within little over one week later, IICF Western Division Board Chair Jon Axel of The Liberty Company Insurance Brokers traveled to Redding, CA to present a $20,000 grant to Kerry Caranci, Shasta Regional Community Foundation CEO, on behalf of IICF and its insurance industry supporters. Made possible through the generous donations of insurance professionals and companies, this grant will help provide disaster relief and recovery assistance to those so severely affected by the Carr Fire in Northern California. The IICF California Wildfire Relief Fund will remain open throughout the fire season and companies and individuals interested in supporting our efforts can contribute here. The creative spirit in helping others has been on full display this summer and as we head into a busy autumn of IICF fundraising events. From the Northeast Division raising over $70,000 at their 19th annual Softball Charity Tournament in Central Park to the upcoming Southeast Division Georgia Chapter's annual carnival-style Benefit Event at Skyline Park in Atlanta - which raised more than $120,000 last year - IICF supporters have been out in force at our many events in St. Louis, Boston, Dallas, Irvine, Los Angeles and elsewhere engaging in volleyball, softball and golf tournaments, Giant Jenga and Trivia competitions and more. 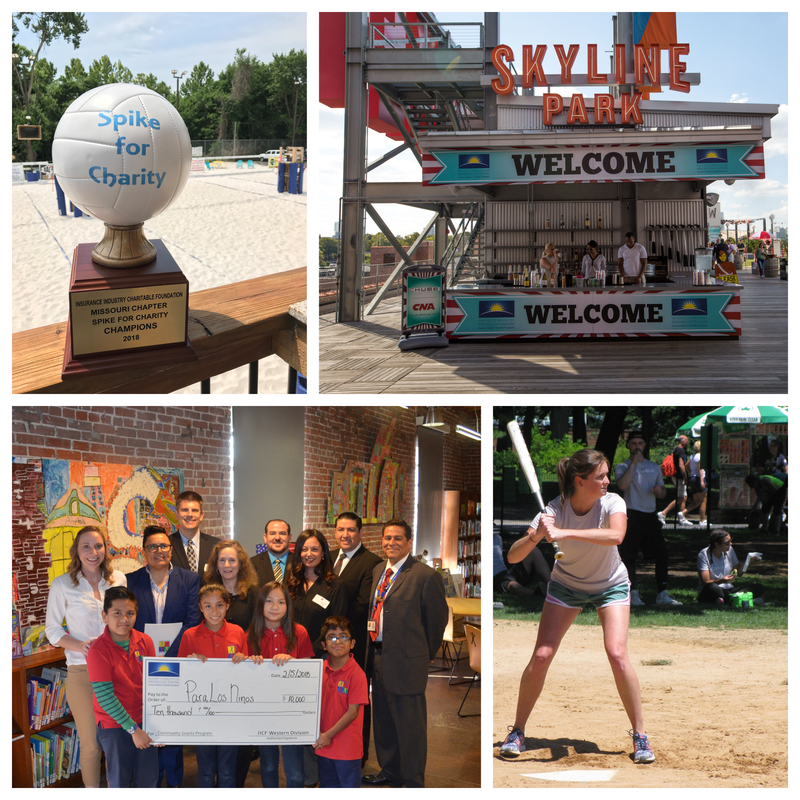 There is an event for everyone, no matter where you are, to join your insurance colleagues in raising vital funds to support local nonprofit and charitable organizations. Proceeds directly benefit the Community Grants Program in each division. You won't want to miss upcoming OktoberFest celebrations in St. Louis, Seattle and Cleveland, Ping Pong in Boston, Trivia Night in London and Philadelphia and so much more! 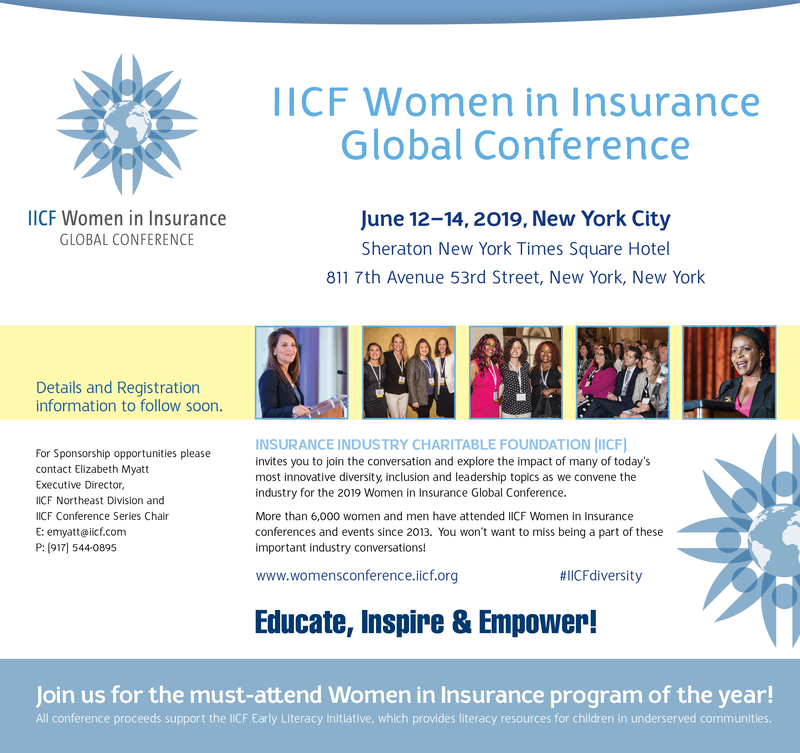 Please view the complete list in the Upcoming Events section and purchase your tickets or sponsor an IICF event as insurance gives back more than ever. Make a difference in your local communities through the largest volunteer initiative in the industry, the IICF Week of Giving! Volunteer. Give. Make an Impact. Now is the time to plan your team and volunteer projects! Learn more in our Week of Giving FAQs, visit the Week of Giving website or contact your local IICF Executive Director with questions. Download the Nonprofit Website Guide and Volunteer Team Leader Website Guide for additional details. View and download the 2018 Week of Giving Flyer. 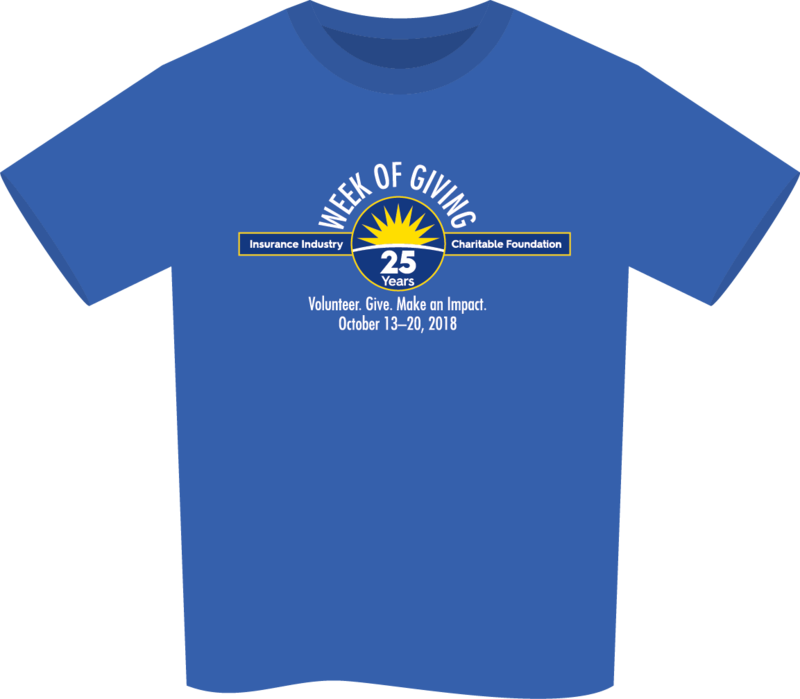 2018 Week of Giving Volunteer T-shirt: Show your industry pride and volunteer in style with the new Week of Giving t-shirt! Shirts are available in men's and women's styles and can be customized with your company logo on the back. Place your t-shirt orders by September 17 to avoid rush shipping fees. 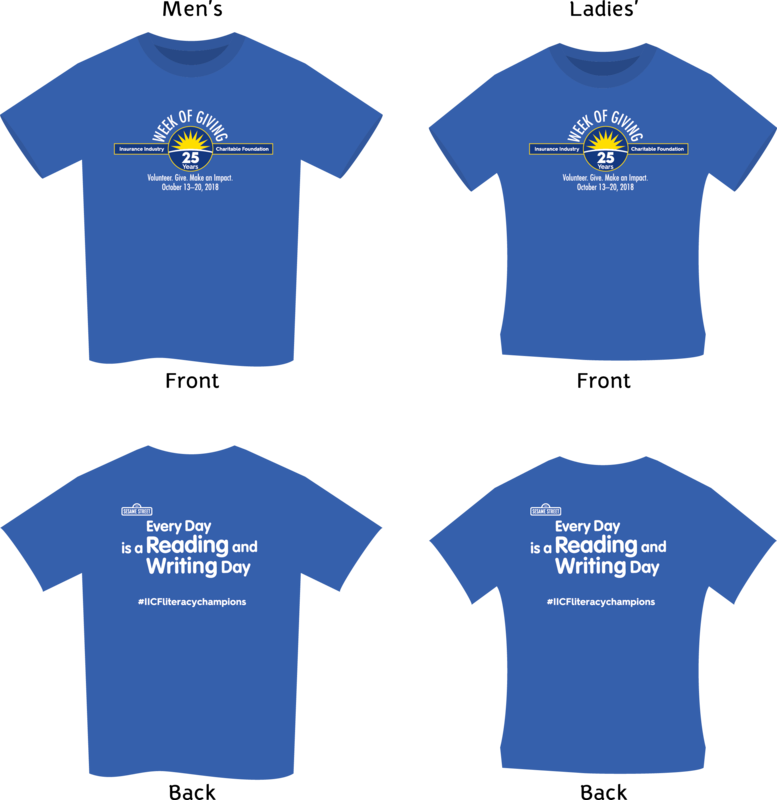 Click here to place your t-shirt order. 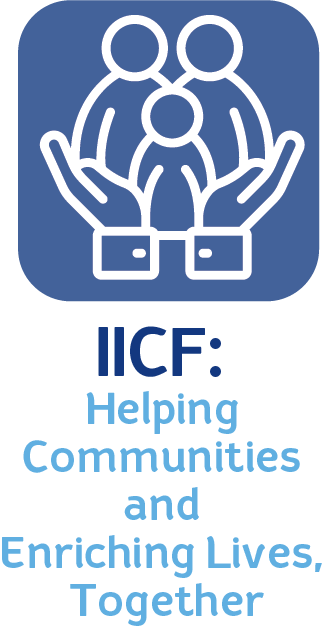 Stay up to date with all things IICF by following us @doubleicf and learn how our local communities are benefiting by your support. Connect with us on .. ..